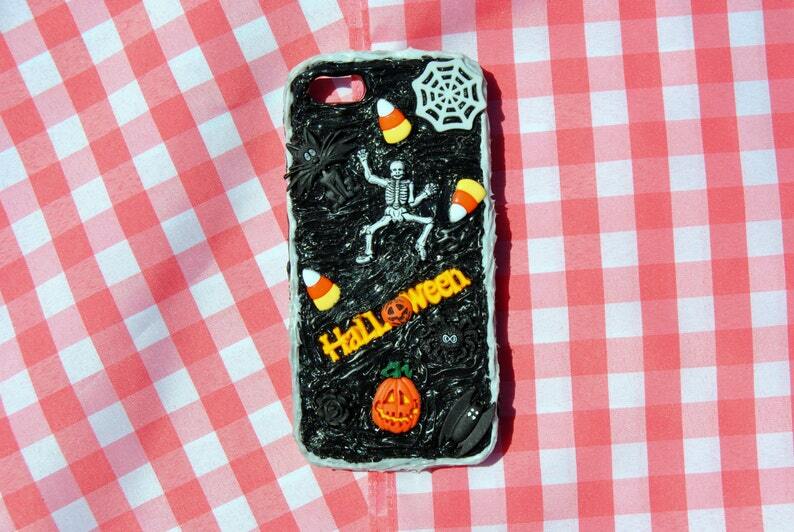 Handmade Halloween themed cell phone case for iPhone 5! Length - Approx 5 in. Width - Approx. 2 1/2 in. Height - Approx. 0.5 in. Phone case is made with hot glue and like most handmade items, it should not sit in extreme weather conditions, in direct sun, or high heat. If you need to wash it, use a damp q-tip to very gently clean. - Due to the difference between different monitors and lighting, the color of this product may be slightly different from actual product.